Prior to the conference, I joked I would be surrounded by 20 of the brightest people from around the world which would automatically make me a misfit but the group actually fitted together quite nicely. It was amazing to see the enthusiasm of physicians from the different countries about the potential of the Web 2.0 services for medical education and how similar our suggestions were. I will publish a 3-part series with each part reflecting my impressions from each day of the meeting. Disclaimer: The posts will reflect only my thoughts rather than the plans of the NEJM for the future. Those readers who expect to find any hints of the NEJM future products will be disappointed because there will not be any. The organizers of the NEJM Horizons Conference used a Ning-based social network to get to know and foster collaboration among the participants before the meeting. That approach proved very helpful since we were able to recognize each other immediately and knowing each other's background, were able to network and look for similarities and share ideas from the very beginning. I shared my plans to attend the NEJM conference on Twitter and within minutes received feedback from my fellow Twitters from India and Australia which I shared with the NEJM editors even before my plane landed in Boston. In addition, I was officially nominated as "representative of the medtwits" (whatever that means) to live tweet from the conference. The NEJM had nothing against my posts from the conference although I had the feeling they had never received such a request before. Encouraged by the pioneering experience of Theresa Chan of Rural Doctoring tweeting the Bob Wachter's hospitalist CME meeting at UCSF, I decided to give it a try and update Twitter when I can. As I have mentioned before, the NEJM is the journal with the best Web 2.0 offerings by far, but there are still many areas for improvement. In addition, I wanted to know what the NEJM editors and staff thought of my ClinicalCases.org and AllergyCases.org projects and the blogs. I also published a short blog post before arriving in Boston: I will be attending the NEJM Horizons Conference to push boundaries of traditional medical publishing, suggestions welcomed. The meeting started with a game in which we had to learn about our peer and introduce him/her to the group. A good "ice breaker," not that there was any ice. The NEJM editors and staff were very friendly, approachable and down to earth. Most importantly, they were eager to learn about our suggestions to improve medical publishing and the NEJM in particular. We started working write away by dividing in small groups (5 members each) and creating a profile of the typical user (student/resident/fellow) of the NEJM and other journals and listing what their needs were. Not surprisingly, the needs of such users were somewhat different from those of the "geeky" crowd attending the conference and that was an important distinction noted early. The profiles of the typical residents/students sounded surprisingly similar. - relies heavily on UpToDate and Google, even checks Wikipedia, whether you like it or not. - only listens to medical podcasts when driving or exercising. Note to podcast editors: don't put them to sleep. - does not do much for fun in their free time because they have so little of it. - likes UpToDate, #1 resource by far, tells them what to do. - does not read blogs, does not use RSS (they are missing a lot). - has a Facebook profile. Note to future conference/course organizers - use Facebook in your programs. According to some recent reports, the adoption of RSS by the general population is only 11%. I glance through 2-3,000 RSS updates/day but this is not typical. Male residents are much more tech/gadget oriented than their female counterparts. No surprise here, "boys with their toys." Many conference attendees had iPhones and seemed to love them. There were not too many Palm/Treo users. I noted that the Cleveland Clinic residents typically do not use PDAs. PCs are always available and the work flow is EMR-centered. Jeff Drazen, the Editor-in-Chief of the NEJM and I sat together on one of the discussion tables and I had the opportunity to introduce my ClinicalCases and AllergyCases projects to him. We looked at the websites and I mentioned that the mind maps helped me score consistently above the 95th percentile on USMLE/ABIM in-services exams to which Dr. Drazen replied: "Yes, but you did not have a control. You could have scored high anyway." In the post-workshop discussion, a few conference participants (who had given up on their blogs) and I talked about why blogging is difficult. If you set the bar too high for your posts, you may not blog at all. I was quite surprised to realize how many of the conference attendees and the NEJM staff were reading my blog and felt really humbled by that fact. At least 3-4 of the conference participants (out of 20) told me they first heard about the conference from my blog which prompted me to say to myself: "Smart readership, not the writer." 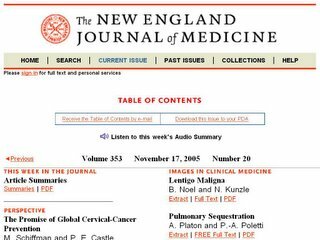 A few months ago, I wrote a post called "NEJM is a journal (only) no more" describing the web offerings of the journal. Several of the NEJM editors have actually read the post and were interested in inviting me to the conference because of it. Keep your blog up, it makes a difference. I was pleased to be offered a position on the NEJM student/resident advisory board which I was honored to accept ("at least until the editors read my Twitter updates"). I also found it difficult to post live updates on Twitter since I preferred to focus on the conference and the participants -- information input rather than output. All Twitter posts were done after the conference activities concluded for the day. 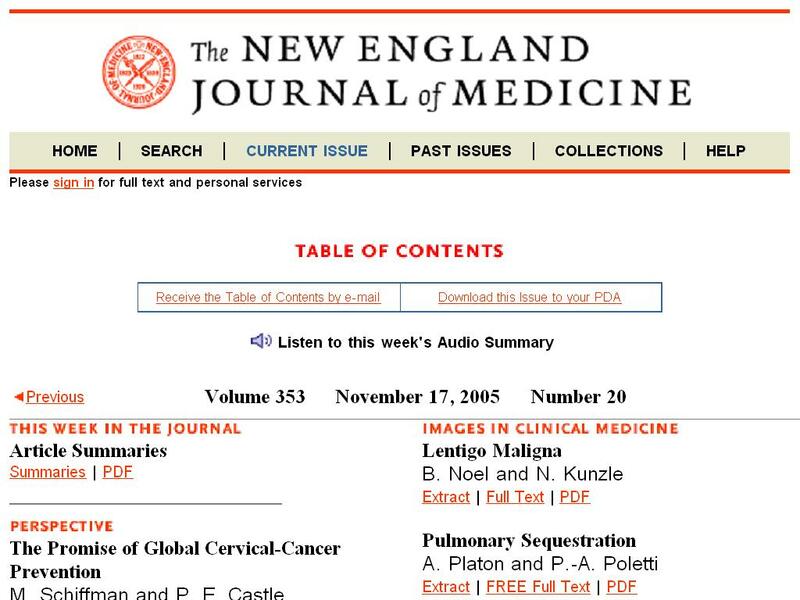 "#NEJM" to make them searchable. I soon received some positive feedback from my Twitter followers who found them interesting. It looked liked some of the NEJM editors also thought my Twitter posts were useful or at least amusing, which I found the next day. In fact, I used Twitter to take notes from the conference with the plan to summarize my impressions in a blog post later. In short, the first day of the conference was great. I was impressed by the student/resident participants and the NEJM staff, and looked forward to tomorrow. To be continued in "NEJM Horizons Conference Day 2"and "NEJM Horizons Conference Day 3." All images (excluding the NEJM.com screenshot) are in the public domain. Very good summary Ves. Looking forward to reading the next two parts. Those are just summaries of my Twitter posts with a few additional post-conference thoughts here and there. I guess Twitter can be useful, after all. In case somebody wants to ask, I also checked with the NEJM editors about Twitter/blog posts and they were pretty much OK with it. Of course, you have to use common sense and not to leak proprietary information when asked not to but this is very reasonable and common practice. I come back to your Tweeting at the NEJM time and again, especially how innovative the conference was and your profile of med students. You are right. The conference was both a new idea and novel implementation. I was very impressed by the dedication of the NEJM staff members. I have done consulting for the Lancet web team before and they were great too but the NEJM really goes the extra mile in terms of brainstorming for new ideas and looking towards the future. I hope they continue to focus on bringing value to the new generation of physicians. Some great insights - cheers! "I glance through 2-3,000 RSS updates/day but this is not typical."